Painting is an art which needs careful eye towards painting techniques and preparation of the surface. It’s essential to prepare smooth and fine surface before the painting is done. It requires a skill to prepare a mixture of the paint material. Here are given painting techniques for easy application of the paint. Brush Painting: After surface preparation, priming coat of paint with the help of painting brush is applied as follows. Clean the surface, brush and container which are used for keeping the paint during application. Apply the paint only when contents of the paint in the drum are mixed thoroughly. Apply the paint with brush first by using vertical strokes until the surface is covered. Apply painting brush across for complete coverage with light strokes to smooth laps and brush marks. Lay off with vertical strokes finally. This full process of crossing and lying constitutes one coat. Second/next coat should be done after the previous coat is dry. Roller Painting: Application of paint with roller should be done through skilled painter after surface preparation. 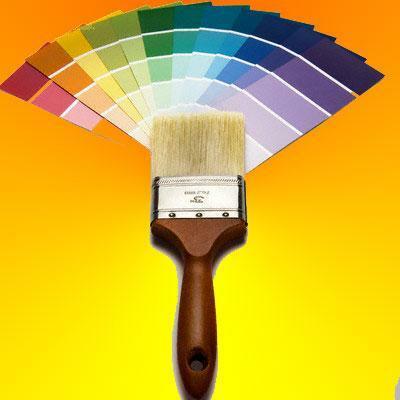 If unskilled painter is deputed on the job, painting work may result patchy and inconsistent. It’s done as follows. Mix the contents of the paint thoroughly before application. Dip the roller in mixed paint and run the roller from top to bottom. Dip the roller again and run it adjacent to above applied area from bottom to top. 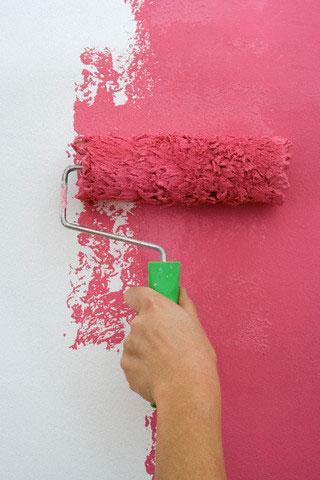 Run the roller without dipping it in paint horizontally and vertically on the applied paint coat to spread it uniformly. Repeat the above process, three to five adjacent to the already applied paint and so on up to the completion of wall. Next coat is done after previous coat is dry. Spray Painting: After surface preparation application of paint should be done through spray machine as follows. Mix contents of the paint thoroughly before applying the paint. The contents of the paint should be mixed thoroughly before applying the paint. 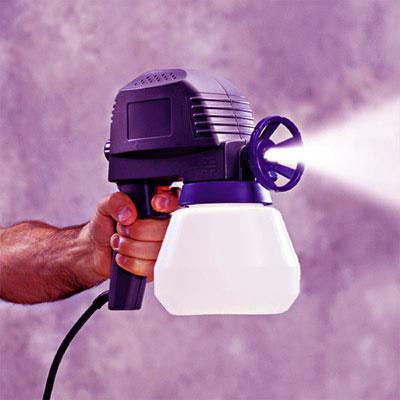 Hold spray gun perpendicular to the surface on which the paint is applied and passed over the surface in a uniform sweeping motion, while spraying. Do not keep air pressure high otherwise the paint will fog up and be wasted. Take care whether adequate ventilation is provided to disperse spray fume. Protect the floor from spray fumes.